We are a new WI established from a very large interest meeting in February 2016. 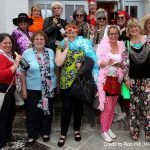 We met in March 2016, formed a committee, found the venue, started planning events and “Uckfield Divas” was born. Our aim is to set an environment where women who want to share and learn have somewhere to do so in a friendly environment. Whether you would like to perfect a new skill or just meet some new friends, we hope that you will enjoy being part of something special. 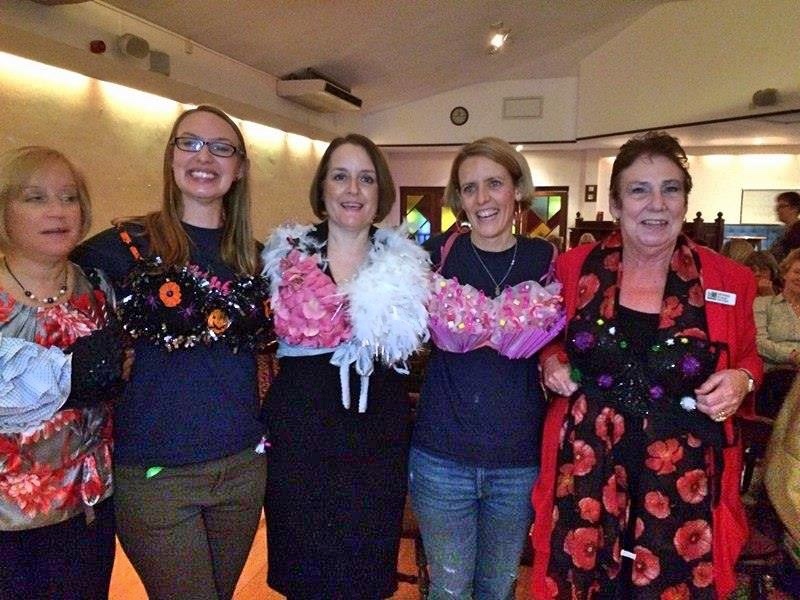 The Uckfield Divas WI held their 1st Annual Meeting on Wednesday 19th October. Once the business part of the meeting was over the fabulous Boobettes from CoppaFeel came along and gave a very informative talk to the ladies, knowing it was Breast Awareness month the committee had asked all the members to decorate a bra in anyway they wanted. The results were quite honestly amazing and the Boobettes said they had never been to such a fun and fabulous evening. 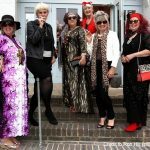 The newly formed Uckfield Divas WI were out in force on Monday 4th July to see the Absolutely Fabulous movie. With 75 ladies the Uckfield Picture House allocated them the whole of screen 2. A glass of bubbly was served on arrival as the ladies took their seats to enjoy the movie. 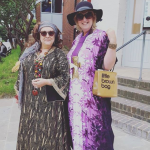 With many dressed in keeping with the film, the committee was on the look out for the best dressed WI member and a prize will be given out at the next meeting.